After a few years of designing corporate fonts and lettering, G-Type founder Nick Cooke released his first collection of typefaces in 1999, including the Houschka and Nubian font families, and the single fonts Geetype and Gizmo. He has designed fonts which are in use by leading companies and publications including Laura Ashley, Hardy Amies, MacUser magazine, Sainsbury's Magazine, The Mail On Sunday and The Scottish Football Association. 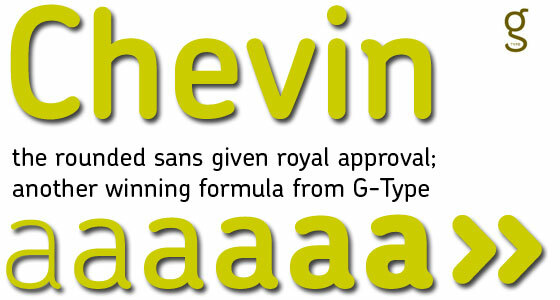 Chevin, a rounded sans face named after a hill near Nick's home in West Yorkshire, is highly prominent as Royal Mail's Corporate Font and is also used by the Post Office and Sweden's SKF Corporation. Nick's first OpenType release is a wonderful pen script called Olicana Rough which is stuffed full of alternates and features including multiple ligatures and swash variants; Olicana Smooth is also now available. February 2008 saw the release of Houschka Rounded, a six weight OpenType companion to the original Houschka sans face; Houschka Rounded has recently been used in the Visa 'Life Flows Better' campaign. Houschka Pro is also now available, a complete overhaul of the original Houschka family complete with a Cyrillic character set. Sovereign is a distinctive 7 weight family. Serif Caps and semi-serif lower case characters make for an unusual blend but one which works well, particularly at larger display sizes. Tapered stems and calligraphically influenced serifs give plenty of movement and character. 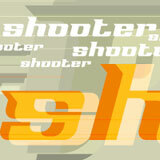 Please note that these free Sovereign fonts are not shareware or freeware. Though we offer these fonts free of charge, the fonts themselves are copyrighted by type.co.uk and Nick Cooke. You may not post them in newsgroups, upload them to ftp sites, or distribute them on DVD, CD-ROM, flash sticks or any other media. By downloading any of the free fonts on this page you agree to abide by these conditions and use the fonts under the terms of the End User Licence Agreement (EULA) bundled with each free font. To view and buy the rest of the Sovereign family click here.